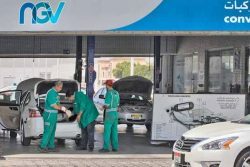 Al Etihad Centre, a subsidiary of Emirates Transport (ET) which specialises in converting vehicles to operate on compressed natural gas (CNG), reported it converted 1,325 vehicles to natural gas fuel during 2018. The Centre serves clientele from both the government and private sectors. Since 2010 more than 10,000 CNG conversions have been completed for vehicles from government ministries, police departments, taxi companies, as well as individual motorists. Abdelhakim Said Abdelhakim, manager of Al Etihad Centre, stated that the number of vehicles modified to bi-fuel (CNG/petrol) during last year represents a strong 21% increase on the figure for the same period of 2017, which stood at 1,050. This steady increase in demand for CNG vehicle conversions is partly due to increasing awareness about its economic, as well as environmental, benefits. The Centre’s list of clients include the Ministry of Interior, the Ministry of Climate Change and the Environment, the Municipality of Abu Dhabi, DP World, the Dubai Silicon Oasis Authority and a number of Dubai Driving Schools. In March of last year ET announced the launch of the first CNG operated forklift in the UAE. The launch was seen as a potentially significant step with regards to the use of CNG to power industrial vehicles and machinery, as the project has significant environmental and economic benefits.